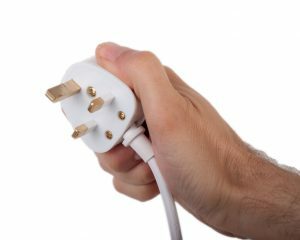 The Electricity at Work Regulations 1989 require that any electrical equipment that has the potential to cause injury, is maintained in a safe condition. However, the regulations do not specify what needs to be done, by whom or how frequently. No. The law simply requires an employer to ensure that their electrical equipment is maintained in order to prevent danger. It does not say how this should be done or how often. Employers should take a risk-based approach, considering the type of equipment and what it is being used for. If it is used regularly and moved a lot e.g. a floor cleaner or a kettle, testing (along with visual checks) can be an important part of an effective maintenance regime giving employers confidence that they are doing what is necessary to help them meet their legal duties. HSE provides guidance on how to maintain equipment including the use of PAT Testing. This information is from the HSE and ‘Contains public sector information published by the Health and Safety Executive and licensed under the Open Government Licence’. How can R Baker (Electrical) Ltd help? PAT Testing is one of the cheapest and easiest ways to ensure you have reduced the risk of harm to your employees and also that you have met all of your insurance requirements. With testing starting from 75p per item, our team will run an effective maintenance regime giving you the confidence that you are doing everything in your power to protect your employee’s and the public’s safety, therefore meeting your legal duties. Our engineers record your testing results on-site for a fast and efficient service which ensures you are compliant the same day as testing.